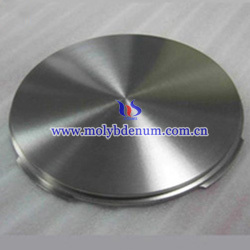 Coating molybdenum target has good properties, including excellent high temperature performance, high temperature physical strength, high elastic modulus, excellent thermal conductivity and corrosion resistance and other properties, so commonly used in the field of coating, as coating materials. Its physical properties are as follows: melting point 2610 ℃, boiling point is 5560 ℃, the density is 10.2 g/cc, purity of 99.95%. Use in camera lens, myopia, hyperopia, reading glasses and other corrective glasses. Coated with very thin film on the surface can reduce light reflection, to increase light transmittance. Besides, it has excellent UV resistance and can also resist the light and ghosting. Different coating colors can make the image color balance different. In addition, coating on lens can also delay aging and discoloration time. Principle: The high voltage electron gun to gasify several drugs to make them uniformly distributed in the lens surface. To apply coated molybdenum target in automobile paint beauty is the highest protection measure to avoid oxidation, which can make paint brightening, anti-acid, anti-oxidation, anti-UV and other multiple effects. What’s more the film is an inorganic material, so there is no damage to the car paint.